The wonder drug for Korean startup growth, domestic hyper-consumerism, is pivotal in the development of the startup market and for this reason deserves a more in-depth analysis than the window dressing it normally receives. For those new to this concept, Korean hyper-consumerism is the fixation on having the nicest and newest gadgets, clothing, etc. which is driven by the so-called “Keeping Up with the Kims” syndrome — a deeply embedded societal pressure and anxiety to never be outshone by anyone around you. Startups are able to leverage this as it provides a substantial demand function upon which to introduce their product to the market. This blog will look at the origins of Korean hyper-consumerism and its current manifestation. It will conclude with a brief discussion on the role this currently plays in the startup world and its future potential iterations. 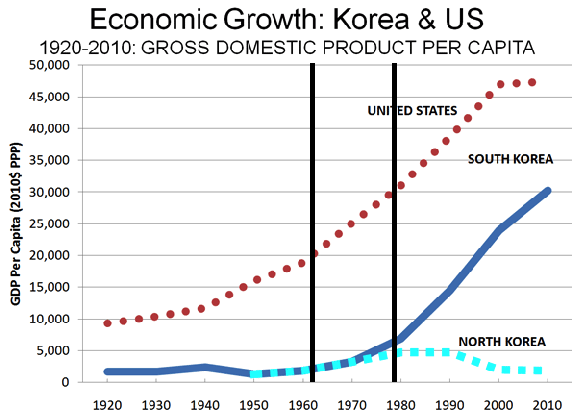 One could argue that consumerism entered the Korean market back in the early 1980s as the economic policies set by General Park in the 1970s resulted in high levels of economic growth (with a major byproduct being the stronghold Samsung and friends have on the economy today). It was during this time that Korea had its first taste of real money as the economy boomed, people developed savings, and a pseudo-capitalistic economic structure took place (Korea was still in the throes of a military dictatorship which reverberated economically). However, all of this was wiped out in 1997 with the Asian Financial Crisis. During this time (which you can read about here), Korea went from a strong 5.8% GDP growth rate in 1997 to -5.7% in 1998. The middle class was wiped out nearly overnight, there was a massive diaspora of Koreans moving abroad for work, and the Korean entertainment industry gave up on domestic demanding shifting its aspirations abroad. Needless to say, things looked very grim. Yet, through government intervention and partnerships with the IMF, Korea pulled an impressive 10.7% growth rate the following year and it is from here that Korean consumerism arose. It then evolved into hyper-consumerism with its growth continuing unabated — even during the most recent financial crisis (thanks buildup of foreign exchange reserves!). People were working again with money to spend, the dispersal of credit cards was a strong as ever, and the competition to have the best everything took hold. While this is good and well, it does not say much. Most first world countries have money to spend and are quite competitive socially. What makes Korea so different? The answer to this requires a look at what twenty years of growth have created. One of the first things you notice walking around Seoul is how everyone appears to wear only the flashiest name-brand clothing. This is because the story you must weave for those around you is one of flawless perfection — imperfection must not exist in society. Why would you wear last season’s clothing when you are surrounded by shopping. From ten-story department stores popping up in every open space in Seoul to even the metro acting as a platform for shopping — there is no escaping consumption. 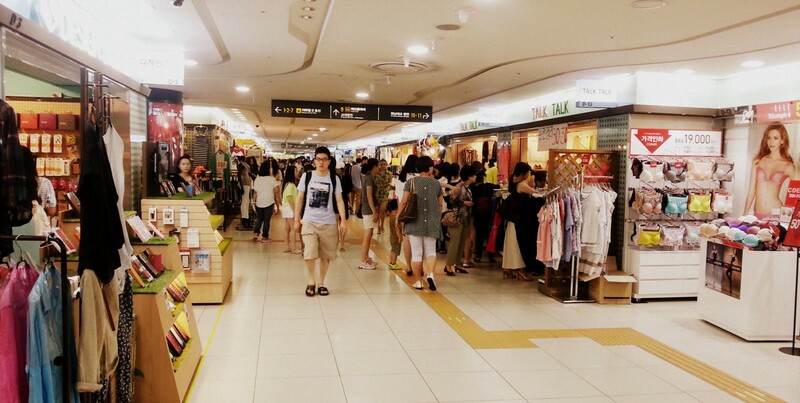 Gangnam Metro Station — even underground, you’re inundated with shopping. This pressure does not just apply to personal fashion. Drive around Seoul and you will notice the dearth of used cars and the complete absence of used car dealerships. Similar to fashion, people must only be seen in the newest and nicest vehicles regardless of any financial strain it may place upon them. Keeping up appearances trumps financial soundness. You’d rather been in debt than risk being seen as behind the times. And while Koreans do work some of the longest hours in the OECD, this fact is less functional and more derivative of a desire to consistently consume in every aspect of your life. Go shopping. Purchase new clothes. Go to a coffee shop. Show off new clothes. Rinse. Repeat. Another sign of being at the forefront of consumption is how outside society views the country. Is it seen as a bucolic country meant for a relaxing family vacation or one geared towards unbridled shopping? 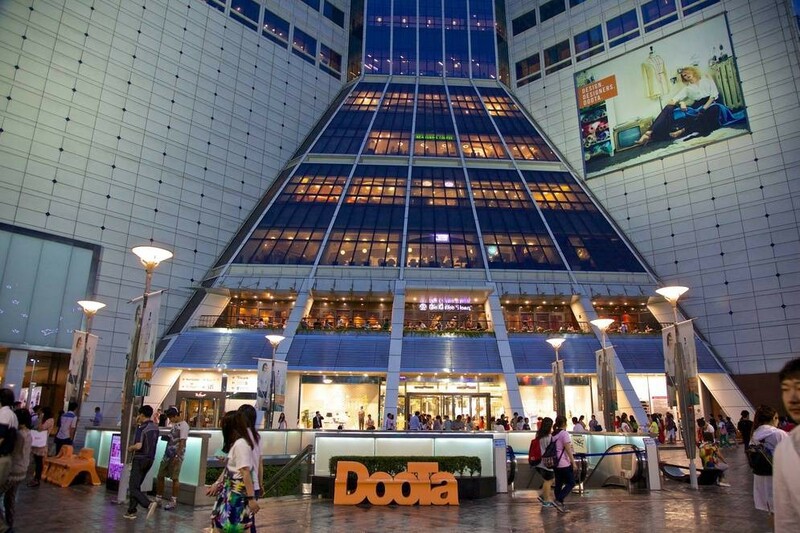 Dongdaemun Shopping Complex — one of the many draws for visitors to Korea who want to shop. Korean culture attracts a global audience that wants to consume Korea’s rich historical past but also its next level consumerism. The workers at the beauty shops in the Myeondong District would not speak four different languages if there was not global demand for what Korea offers. The thing is, global demand does not come to fruition without the infrastructure being developed first via domestic demand. No country has created a consumeristic-driven industry that attracts global shoppers without first having a large local market. From a financial standpoint, a telltale sign of a society that likes to consume is the dispersion of credit cards and Korea currently has one of the highest number of credit cards per household (“The Republic of Plastic Cards”) in the world. Additionally, its reliance on credit cards is so widespread that the country makes the least amount of payments in cash in the world with only 20% of payments being cash-based. This has resulted in one of the highest global levels of household debt in the world at 152% of disposable household income as of 2013. It does not matter if you cannot afford the newest fashion as long as you can just place it on your credit card and add it to your mounting level of debt. Lastly, Korea has recently entered a new phase in this hyper-consumeristic rat race. It has evolved from mere competition for the finest clothes into the never-ending quest for aesthetic perfection. Billboards on the street, on the metro, on buses are lined with photos of beautiful women and messages that pronounce that you too can look this flawless if you just get plastic surgery. Why settle for regular eyes when you can have the perfect eyes. 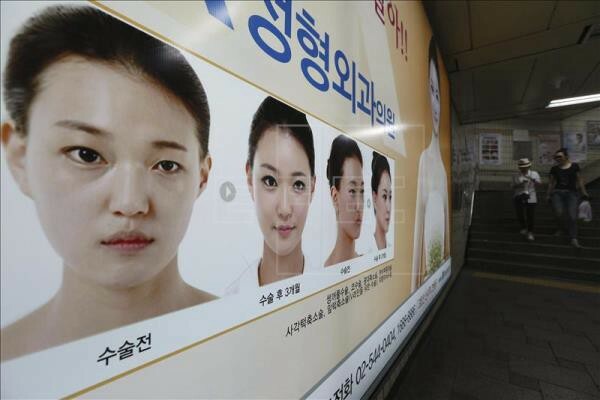 Just your friendly plastic surgery billboard as you walk towards your train. Plastic surgery has exploded and changed from just getting your eyelids fixed or jaw shaved to now include just about any and every possible surgery. This industry has sprung up basically overnight. Much like with shopping, the pervasive nature of plastic surgery now brings in global medical tourist whose sole purpose in coming to Korea is plastic surgery. Despite the Korean economy slowing down with the major source of growth, the chaebols, struggling to keep pace on the global market and increasing unemployment, the beast that is hyper-consumerism will not be going anywhere for a long time. It survived the 2008 financial crisis so unless another crippling economic attack a la Asian Financial Crisis occurs, there is some military engagement on the Korean Peninsula, or some Black Swan event, there is not much that can stop this. While this is awful news for credit card debt and savings in Korea, this is excellent news for startups entering the Korean market. The exponential demand curve that they have learned to grow and love for product development and user growth will remain consistent. However, this will be a double-edged sword as they might fall into the trap of becoming too comfortable in the Korean market and plateau cutting off any chance at globalization. This loop is something Korea must avoid but will continue to fall into its trap as the low hanging fruit is just too temping. Although, for foreign startups, you’d be remiss to not give Korea a try. This submitted article was written by Alex Gershon.